With most of us hoping 2011 will be the kick start Ireland's economy needs, it seems things are not what they seem. Celtic Bookmakers, the firm founded by former Fine Gael minister Ivan Yates, has called in the receivers, whilst Toni & Guy hair stylists have announced that they are closing four of its 11 Irish hair salons while Superquinn closed its Naas outlet. 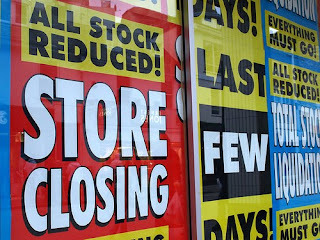 HMV have also announced that it will close 60 stores in 2011, including 20 outlets of its Waterstone’s bookshop chain. With Waterstone’s having two Dublin outlets. 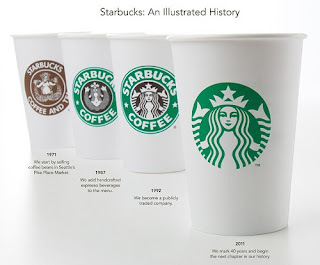 Worldwide coffee giant Starbucks turns 40 this year and the brand is celebrating the milestone birthday with a facelift. Starbucks is changing its logo for the first time since 1992. The Seattle-based Starbucks Corportion unveiled a new and simplified company logo for 2011. The new all-green logo focuses on the company siren and removes the Starbucks Coffee embroidery around the border. The revamped image will be phased in at all Starbucks locations by year’s end.